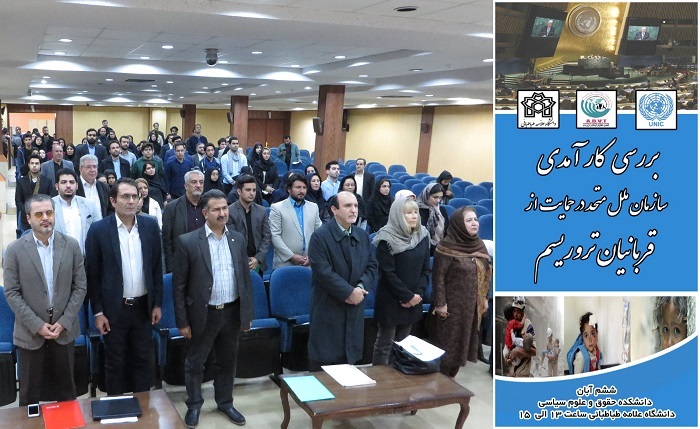 Association for Defending Victims of Terrorism Public Relations – Expert meeting entitled “Reviewing effectiveness of the United Nations in Supporting Victims of Terrorism” was held on the occasion of United Nations Day in partnership with Allameh Tabataba’i University and the United Nations Information Centre (UNIC) and attended by the families of victims of terrorism, professors, students, human rights activists, Pakistani ambassador, second secretary of the Afghan embassy, director of the United Nations Information Centre (UNIC), and the director of the center of martyrs and sacrificial organizations. 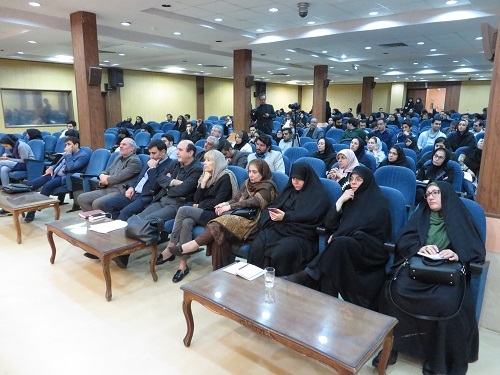 It was held in the conference room of faculty of law and political science of Allameh Tabataba’i on 28th of October. 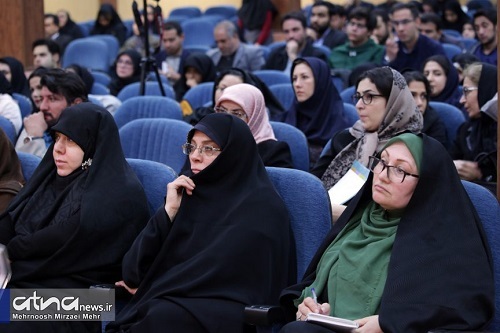 At the beginning of the meeting, Ms. Maria Dotsenko, director of the United Nations Information Centre in Tehran, stated that the UN’s primary goal is to prevent war and spread peace. Within 73 years of the establishment of the United Nations, it has faced many challenges in terms of terrorism. The most effective way to counter terrorism is through actions that respect human dignity and protect the rule of law. 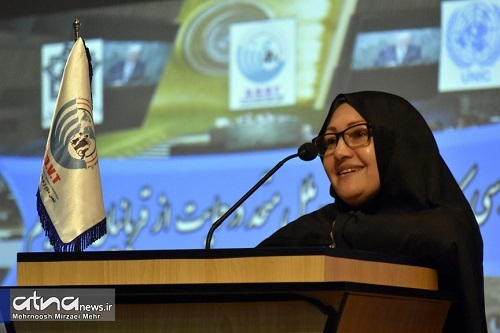 She added that while more countries are affected by terrorism today, the number of victims has largely been concentrated in a small number of Member States. In 2017 alone, nearly three-quarters of all deaths caused by terrorism were in just five countries: Afghanistan, Iraq, Nigeria, Somalia and Syria. 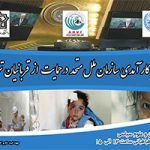 The United Nations Secretary-General’s video message was shown on the occasion of the United Nations Day. 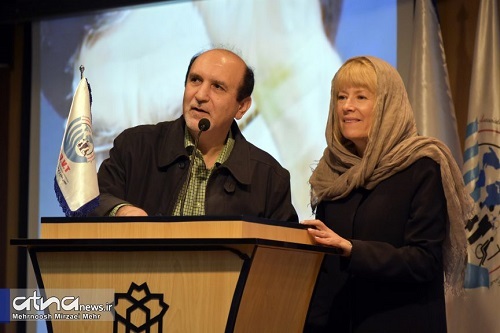 In a part of the message he said that the United Nations is reminiscent of the birthday of the Charter of our organization, a prominent document containing the hopes, dreams and aspirations of “people”. Human rights are violated in many places. But we will not give up because we know that respect for human rights and human dignity is the first condition for peace. The number of conflicts is increasing and people are suffering. But we will not give up because we know that every man, woman and child deserves life full of peace and tranquility. 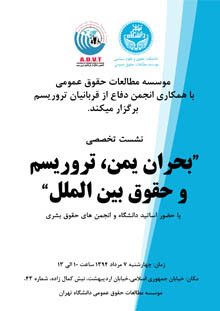 Ms. Mansoureh Karami, vice-president of the Association for Defending Victims of Terrorism, stated that the laws and regulations derived from the United Nations instruments in the field of terrorism and developing some national and regional laws for countering terrorism lack the privileged legal status of victims of terrorism. By such legal requirements one can put an end to human tragedies and human misery. 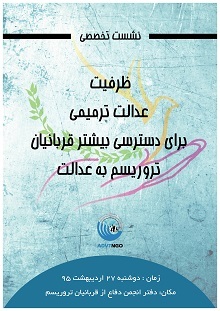 In order to strengthen the role of the United Nations in resolving global conflicts and the root cause of terrorism, our association calls for the establishment of a United Nations Investigative Committee in partnership with a country which is victim of terrorism in order to discover the truth and identify the perpetrators of terrorist acts. 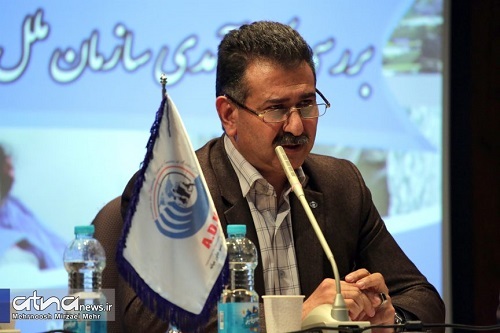 Dr. Ghassem Zamani, professor of international law at Allameh Tabataba’i University argued that terrorists have targeted the right to life and the right to health. The United Nations has not done anything for the victims of terrorism. International organizations and states are obliged to prevent terrorist acts and should not have reactive policies. But they must act with maximum power. It is not enough to beware governments of supporting terrorism, but the commitment of governments in this field is positive and governments are responsible for the fate of their citizens. 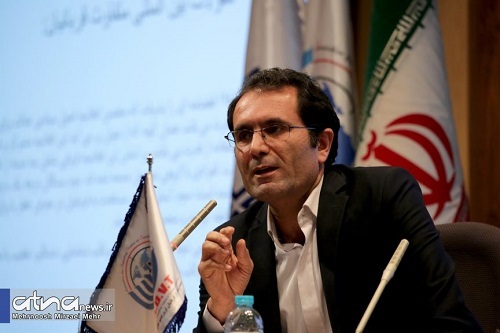 Dr Heibatollah Nagandimanesh, assistant professor at Allameh Tabataba’i University, stated that International law’s response to terrorism was weak for many years. Until 1994, the United Nations ignored paying attention to the victims of terrorism. After this period, the United Nations began to link human rights and terrorism. He added that if international peace is to be achieved, the United Nations must hear the voices of the victims of the terrorism. Perhaps not hearing the voice of the victims has made the international community ineffective in countering terrorism because they have only seen one side. 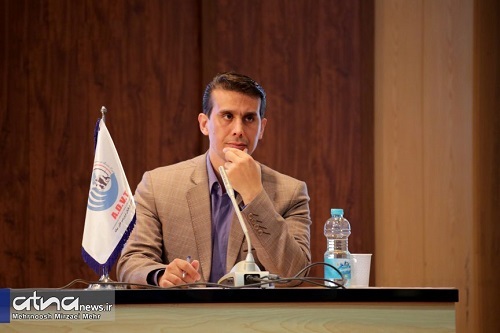 Then, the next speaker Dr. Mehrdad Rayjian Asli, assistant professor at Tarbiat Modarres University, said that unfortunately, terrorism has not yet been recognized as an example of an inherent crime. Today, in addition to the political and international phenomenon of terrorism, we must also remind the criminal phenomenon of terrorism. According to the criminological definition, instead of focusing on the abstract phenomenon of terrorism, the emphasis is on the criminal phenomenon of terrorism. It means the definition of terrorism is based on the credibility of the victim and not just on the act or the terrorist incident that took place. 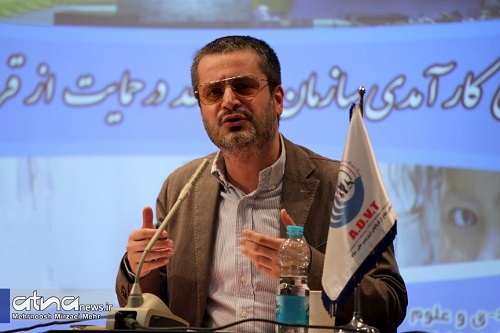 In the end, Morteza Ghahremani Manamen, Ph.D. student of International Law, also stated: The United Nations support is in fact a global response to the terrorist catastrophe in the form of identifying the humanitarian status of the victims of terrorism and determining the rights of those affected by the incidents. The devastating and enduring effects of terrorism on victims will be the responsibility of paying attention to an international crime. 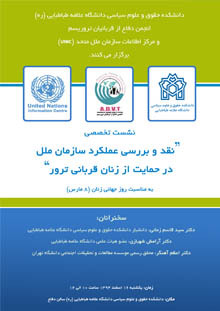 The duty of all states, human rights organizations and, in particular, the United Nations on the basis of the principle of causal responsibility, is to investigate and protect the rights of victims of such severe crimes in order to establish criminal justice, security and peace in the communities and nations of the world. Capacity-building responsibilities focus on the rehabilitation of terrorism communities and the protection of humanitarian victims of terrorism, under the authority of the United Nations, which has the capacity to do so. 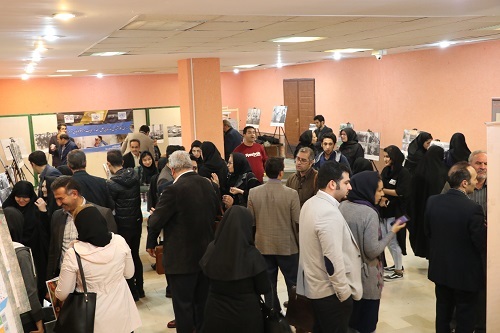 A photo exhibition was held about 73 years of UN activity and victims of terrorism victims, which was welcomed by the guests, students and professors and other guests of the conference. Also copies of the UN Charter and the Universal Declaration of Human Rights were distributed.